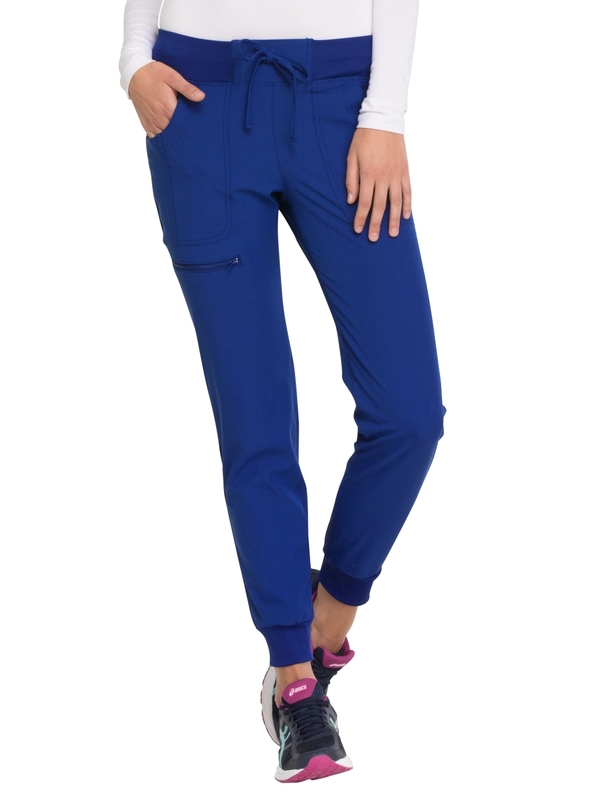 Elegant and sporty, the detail is in the elastic waistband which will bring you comfort and style. 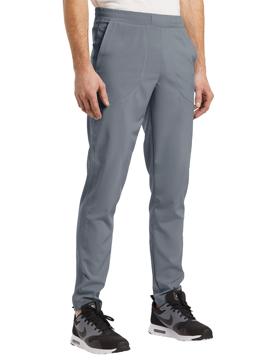 Regular inseam: 32⅛". Because your work can be very demanding, this top will get you ready and move with you. 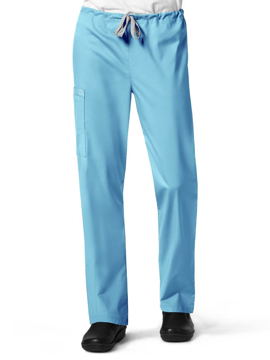 Get the style and comfort of leisure clothing without neglecting your work attire ethic. V-neck. On seam slip pockets. Back yoke. Mesh insert. Welt pocket. Tonal mesh side panels. Center back length: 27⅞". 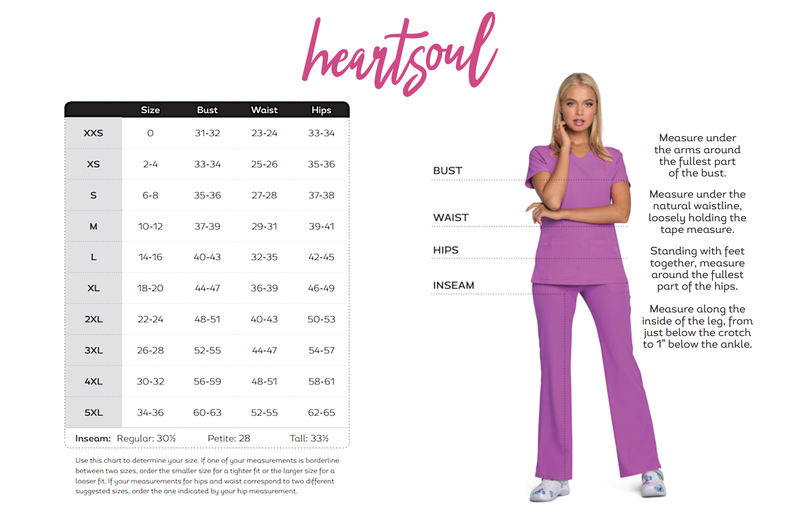 A contemporary fit v-neck top featuring a rib knit neckband and yokes, signature triple-heart heat transfer and side vents with heart grommet detail. 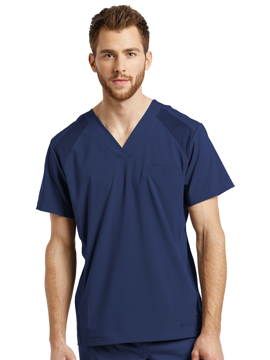 Also featured are rounded patch pockets, the left with a utility loop, the right with an invisible zipper pocket, and both with a pen slot. Front and back princess seams, a locker loop, signature woven neck tape and double-needle topstitching complete the top. Center back length: 26½".